Well, let me start by saying I didn’t finish the series, despite the misleading post title. But we’ll get to that. I started with Dagger Star. I recently finished the Warlands series by Vaughan, and I loved it. I figured I’d love another Vaughan novel, too. I didn’t. Maybe my hopes were too high, or maybe I was comparing it to her other series. Regardless. 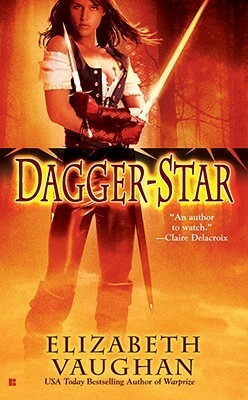 I did finish Dagger Star, the first book. It wasn’t terrible, but I didn’t love it. While I enjoyed the depth of Red Gloves, the main character, I felt that the other characters fell short and flat. Lord Josiah was a random love interest who Red Gloves forced to bed (though he fell in love with her and was totally cool when she murdered his ex-girlfriend). Gloriana was a whiny brat who miraculously hopped on Red’s side after a short talk, and the Regent wasn’t explained well. I do enjoy Vaughan’s writing style, but the plot and story fell short for me. I rated it 2/5 on Goodreads. I didn’t finish White Star, the second book in the trilogy. I just couldn’t. It was boring, the main character (different from the first book—this one follows Priestess Evelyn) fell in love with the bad boy, Lord Orrin, way too quickly (she was kidnapped and developed a serious case of Stockholm Syndrome reallll quick). I got 100 pages in and had to quit. As with the former book, the plot was flat and fell short. 1/5 on Goodreads. In conclusion, this series was nothing like the Warlands series.